My reflection began yesterday, on the Feast of the Sacred Heart of Jesus. I did not grow up with a big devotion to the Sacred Heart, although I was familiar with the image of Jesus looking straight at you, pointing at his heart, which can be visible on the outside of his body. I knew the image, but I never really gave it much thought. It seems silly and obvious, but yesterday, it struck me that the feast of the Sacred Heart of Jesus is all about love. Of course. Heart equals love. Not sure why it hadn’t been obvious before. I just hadn’t thought about it. Recently, a Jesuit priest, Fr. Keith Langstaff told me that in the times of Jesus, the ideas of “head” and “heart” were completely the opposite of what we have today. For us, the head is the place of wisdom, of sound logic. Ideas come from the head, the mind. The heart, on the other hand, is where we feel. In the times of Jesus, it was the other way around. The Jewish notion 2000 years ago, was that one thought with the heart and one felt with the head. Completely backwards. And I’m not entirely sure where I am going with this, except that I like the idea that Jesus is not only head or only heart. I like the idea that being the head of the family doesn’t mean that I can’t have heart. 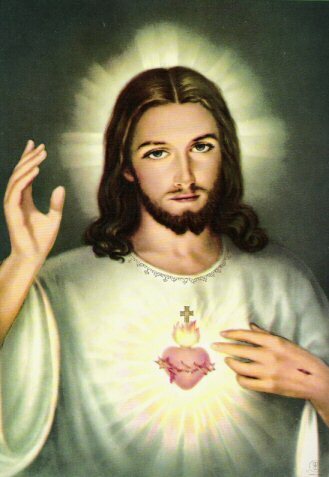 I like the idea that if Jesus has a Sacred Heart, that means that God, the Father, also has a Sacred Heart. God is a God who is head, but also who feels, who loves. God is not a God of the intellect (although He is that), but a God of the senses. 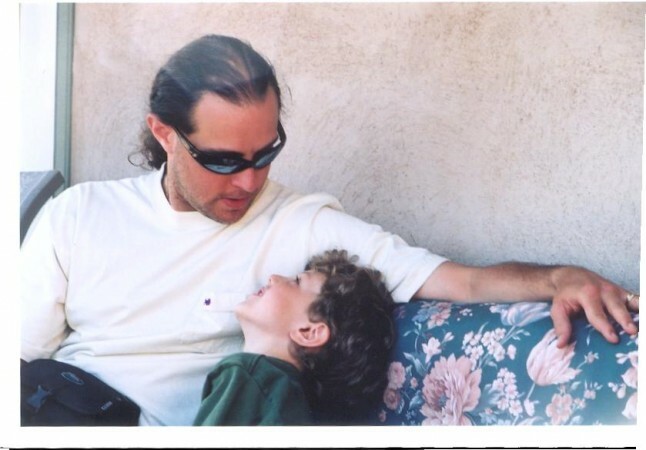 In listening to a program dedicated to fathers yesterday on Focus on the Family, I was amazed to hear that most people, when speaking about their dads, no matter how old they are now, tend to get emotional. There is something about our dad-relationships that makes us emotional. At the end of the program, the host said something that is so true: “We all long for the love of a Father.” It’s no coincidence that God is Father. God is Father and we all long for the love of a Father. And that is I think, what the Feast of the Sacred Heart is all about. And maybe it’s no coincidence that this great feast is now celebrated so close to Father’s Day. So, tonight, as I stay awake a bit longer, I pray for all fathers. I pray for your head, but mostly I pray for your heart. I pray that you continually strive to love your children as the Father loves His children. With a love that pours itself out completely, totally and eternally, unselfishly, unconditionally and without restraint. Happy Father’s Day. And may your hearts too, be sacred.
. Your job and the skills you develop are the most important asset you have.